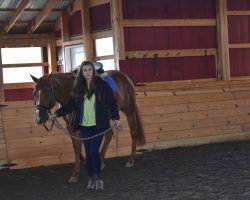 The volunteer riding program is a unique opportunity we offer that allows our volunteers to further their own riding skills by taking lessons with one of our instructors. These classes are offered as group lessons and are only open to volunteers. 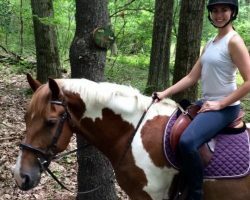 This program not only benefits our volunteers, but it also gives our horses a chance to be exercised outside of the confines of program. For more information, please speak with one of our instructors.